For years, we've been told that expansion teams aren't supposed to do well. They're filled with cast-offs, with the unwanted players from other teams, and with players who haven't been given a shot. Expansion teams simply aren't supposed to show up and win, but we learned last season that the Vegas Golden Knights took that narrative and destroyed it. So what happens when one has to build a team from scratch? Well, it seems that narrative is also false as the University of New Brunswick Red women's team has shown all sorts of competitiveness in their first campaign after being unceremoniously dropped as a varsity-level sport. A large number of people I've spoken to had no idea that this was UNB's first campaign nor were they aware that they had had their team disbanded a decade ago. 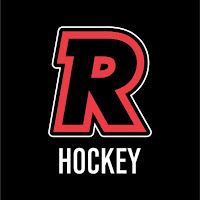 While I get that U SPORTS women's hockey barely gets a mention in most local markets and nary a word on national sports networks, the UNB Reds made a splash this season when they hit the ice for their first AUS game in ten years, and they've played extremely well all season long! Sportsnet did a spotlight feature on today's Hockey Day in Canada broadcast about the woman who spearheaded the campaign to bring hockey back to UNB. I know of Sylvia Bryson due to her work in helping the team return, but Sportsnet did a really great job in presenting this story. Please watch below as we get some better insight into how UNB's women's hockey program was demoted from varsity status and how Miss Bryson fought to keep the team she loved from fading into history. I'm happy that Sylvia Bryson's efforts are being recognized by Sportsnet because she really did amazing work in getting the program for which she gave her blood, sweat, and tears back to the highest level of hockey in Atlantic Canada. And while I can't fault the University of New Brunswick for trying to improve its bottom line by cutting sports - an often unnecessary expense for schools - it does seem a little off that women's hockey had to be sacrificed while men's hockey was allowed to continue and thrive. Nevertheless, Bryson's efforts have not only brought women's hockey back to UNB, but the program, in its first season, is showing immediate dividends. They sit in fourth-place tonight with a 13-11-4 record for 30 points, have qualified for the AUS playoffs, will likely play U SPORTS National Women's Hockey Championship host UPEI in the quarterfinals, and is 3-1-0 this season against UPEI! Could we see UNB in the semi-finals? It seems likely if we go by the season series record, and that would mean a meeting with one of the top-two teams in St. Thomas or St. Francis-Xavier. UNB's records against those two? 1-2-1 against either team! Look, no one is looking beyond Game One of the quarterfinal series against UPEI. UPEI does have a chance to host this series if they win on Sunday against StFX after beating UNB today. However, given the success that UNB had on UPEI ice - 2-0-0 - one has to be excited at how UNB's first postseason may go after a decade of having nothing for which to be excited. For those who are sitting at home thinking that it's only a matter of time before the economics of hockey catch up to this team again, there is a statistic I haven't mentioned that should be noted. If you build it, they will come. If you rebuild it, they'll come back. Like the fans of the Winnipeg Jets, there's a different feeling at UNB women's hockey games from what I've been told - an appreciation of holding on to what you have rather than simply taking the existence of the team for granted. Based on the attendance totals, fan reactions, and the success of the team on the ice this season, it has to be encouraging to see this program doing as well as it is in its first season back under the bright lights. 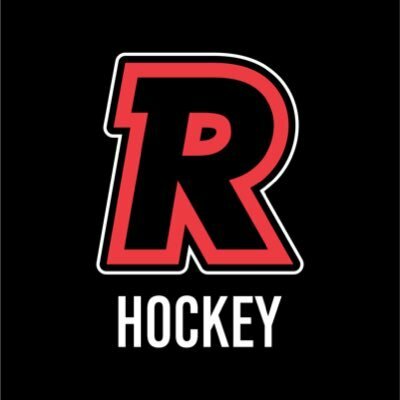 The UNB Red men's team is always a perennial powerhouse and contender for the U SPORTS National Championship. If the women have anything to say about it, UNB will be known for two nationally-recognized hockey programs.